Cupcakes, teas, soaps, and scents all benefit from lavender. Lavender has been used for centuries to cure headaches, calm the spirit, sooth throats and help acne. The Pilgrims brought lavender with them to America as one of their main healing medicines. Below is an overview of lavender, combining and interpreting the best of Western Science, Traditional Chinese Medicine (TCM), Shamanism, Folklore and more. 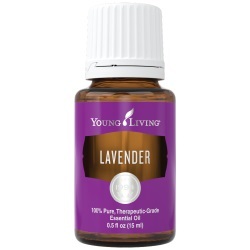 Gain a balanced and thorough understanding of the healing properties of lavender. Want to Find Out More about Lavender? Key Western Actions & Medicinal Uses: Antibacterial, Sedating, Antidepressant, Analgesic, Antiseptic, Expectorant, Vulernary, Carminative, Anti-inflammatory, Insecticide, Antispasmodic. Key TCM Actions & Medicinal Uses: Clears Heat/Expels Toxicity: palpation’s, anger, acne, wounds, lice, scabies, intestinal worms, scalds, sore throat, cough. Expels Wind/Relieves Itching: cold and flu caused by wind heat, fever, eczema, rashes (including nettle rash), bites and headaches. Reduces Inflammation: eye infections, ulcers, gangrene. Circulates Qi: asthma, bronchitis, depression, flatulence, low back pain. Promotes Menstration/Aids Childbirth: infertility, expels after birth, soothes child birthing. Lavender is a member of the mint family of plants. Lavandula is a genus with 39 known species. It can grow up to 32 inches tall, with richly scented purple-blue flowers and aromatic green leaves that can be simple or pinnately toothed, depending on the species. The flowers are borne in whorls held on spikes rising above the foliage. Lavender is native to the Mediterranean region. It likes temperate climates and now grows from the tip of Africa to Northern Europe, Southeast Asia and the Americas. It prefers dry, well-drained, sandy or gravely soils in full sun. Caution: Very safe, HOWEVER, remember not to use the essential oil internally! Used in too large a dose it can become poisonous and cause death by convulsions. History/Folklore: Lavender is essentially a draining herb that is best applied in chronic excess conditions requiring dispersing, relaxing and cooling. Lavender is also used as a condiment in salads and salad dressing. The nectar makes wonderful honey. A small satchel of dried flowers can be thrown into the drier to give clothes and sheets a fresh clean smell. The essential oil is used to treat acne and skin irritations. Spanish lavender and French lavender are both two different varieties of lavender and are not to be confused with Lavandula angustifolia. All of these flowers have similar properties, but some do prefer one over another. The German Commission E has approved lavender flowers as promoting circulation and improving one’s mood. The scent of lavender is one of the most recognized scents in the world and remains popular for use in cosmetics, soaps and perfumes. The name “lavender” derives from the Latin word “lavare” meaning “to wash.” Lavender has been used to purify the body and spirit. It is often used in aromatherapy and massage to soothe and calm a person. An old Christian legend says that the plant acquired its scent from the newly washed clothes of the infant Christ that were hung over the plant to dry. In TCM lavender is used to treat infertility, infection, anxiety and fever. In Arabic medicine it has been used to treat nausea and kidney problems. In Roman times the blossoms sold for about the same as a months wage for a farm laborer. The blossoms were used by the Romans to bath in for there fragrance and antiseptic properties. It has been strewn across floors of churches and homes in Europe on festive days or to make bonfires with to keep away the evil spirits. Traditionally bundles of lavender were placed in the hands of women during childbirth to promote courage and strength. Planting lavender around your house will protect your family from evil spirits. Putting it between bedsheets will prevent fighting between a husband and wife. Want Lavender (Xun Yi Cao)? Essential oil (containing Borneol, Geraniol, Terpenes (including Camphor), and Linalool), Linalys acetate, Couramins, Caryophyllene, Tannins, Flavonoids, and other Antioxidant compounds. Remember not to use the essential oil internally! Used in too large a dose it behaves like a poison and can cause death by convulsions. For centuries, lavender has been believed to inflame the passions and be an aphrodisiac. A cooled strong tea made with lavender can be used to wash your scalp and help prevent dandruff.